In collaboration with Bose, DFX designed and integrated the state-of-the-art audio system used at Fly Wheel. The audio system was design to provide a high fidelity experience for the all riders and instructors. To give an experience that is unique in the industry and keep fitness enthusiasts’ coming back for more. The installation included Bose RoomMatch loudspeakers paired with Bose PowerMatch amplifiers and digital signal processing. DFX certified Bose audio technicians worked closely with Fly Wheel management, general contractors and all trades involved to seamlessly install the system. 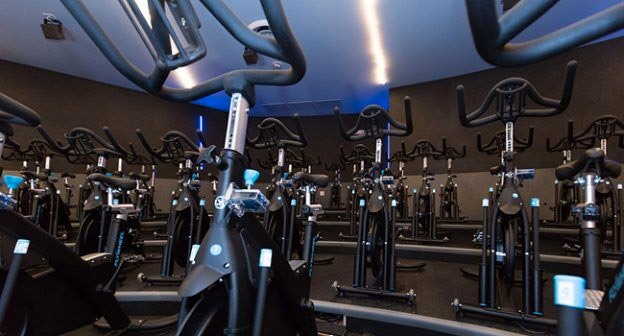 Our services also included system programming with audio presets for all fitness instructors. Upon completion of the installation the staff was fully trained on the operation of the system.